After a years-long journey from foster care to adoption, my wife, son and I welcomed our two girls into their forever family on Friday, December 9, 2016. Family and friends crowded into the courtroom to witness the formal adoption ceremony. Afterward, we trooped over to our house for cake and presents for our daughters. Their adoption was a joyous event, well worth celebrating. And yet, as is always the case with adoption, a tragedy lurked in the shadows. You cannot build an adoptive family unless a tragedy, neglect or abuse has broken the biological family first. And though our girls are young, they have memories of their bioparents, and thus an inchoate sense of loss. The family makes us and breaks us. It is the source of celebrations and tragedies. Our highest joys and our deepest pains typically come from no place like home. Commentators often speak of “the crisis of the family” when they talk about long-term, systemic changes to the nuclear family that have occurred over the past few generations. These changes include increased levels of nonmarital cohabitation and childbirth, high percentages of marriages ending in divorce, and the rise of nontraditional family structures. When I picked up Russell Moore’s The Storm-Tossed Family, I assumed it would be a polemic addressing the decline of family values in our nation and arguing for a return to those values. As much as such a polemic may be needed, and as much as Moore would be the person to write it, that isn’t what this book is about. (Moore is president of the Ethics and Religious Liberty Commission of the Southern Baptist Convention, well-known for his thoughtful conservatism, both theological and political.) It is not about “the crisis of the family” in general as much as it is about “the crises in my own family” in particular, that is, the milestone events in a family’s life cycle, whether for good or bad. More than that, it is a Christian account of those milestone events, one that interprets them through a cruciform hermeneutic, one that shows “how the Cross shapes the home,” as the book’s subtitle puts it. Three points stood out to me particularly. Russell Moore, The Storm-Tossed Family: How the Cross Reshapes the Home (Nashville: B&H Books, 2018). P.S. If my review helped you form an opinion of the book, please click “Helpful” on my Amazon review page. In today’s episode, Influence magazine executive editor George P. Wood talks with Jay Mooney and Johan Mostert about how churches can support foster care parents and thus solve the twin problems of America’s foster care system: capacity and stability. Jay Mooney is executive director of COMPACT Family Services, formerly Assemblies of God Family Services Agency. Johan Mostert is director of COMPACARE, one of COMPACT’S initiatives. To learn more about COMPACT Family Services, go to CompassionateAction.com, or follow it on Facebook, Twitter and Instagram. 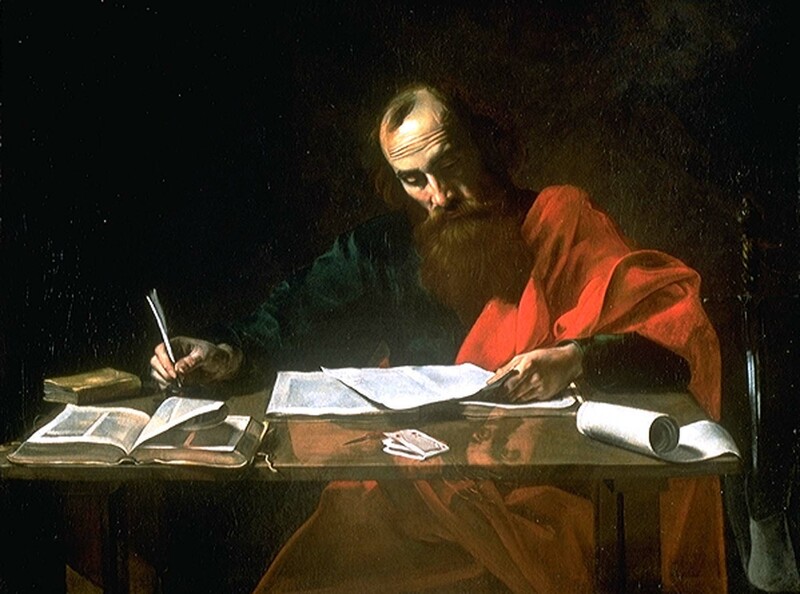 Over at InfluenceMagazine.com, I offer some thoughts about Joseph, adoptive father of Jesus, as a model for Christian fathers today. I’m reposting the article here with permission. One of my favorite memories growing up was playing basketball with my dad. He’d get home from work, and we’d head to the nearby park to shoot hoops. When I was little, he’d let me win the game, but as I got older, the games became more truly competitive. I still remember the first time I beat my dad for real. I felt great, and he celebrated my win. Only now, as a father myself, can I understand how genuinely proud he must’ve felt that his boy was growing up. This Father’s Day, many will celebrate their dads with affection. I certainly will. Some who have lost their dads will shed a tear because they miss him. Others, however, didn’t have good relationships with their dads, so they will honor them begrudgingly, if they do so at all. Fathers make a difference in the lives of their children, whether they are present or absent. Present fathers help their children flourish. Absent fathers leave a hole in their children’s hearts that they can spend a lifetime trying to fill. Children are resilient, of course, and single moms do heroic work. But God designed families to have moms and dads. Together, they create a home environment where children can thrive. Fatherhood needs to be about more than mere presence in the home, however. Dads need to be actively engaged with their sons and daughters. As the father of one boy and two girls, I am drawn increasingly to the Bible’s portrait of Joseph — husband of Mary, adoptive father of Jesus — as a picture of the kind of father I myself want to be. The Gospels say little about Joseph. Only Matthew and Luke describe him at any length. He seems to have died by the time Jesus began His public ministry. What they do say about Joseph, however, is enlightening. Matthew 1:19 describes him succinctly as a righteous man, my translation of the Greek word dikaios. The parallel Hebrew term for dikaios is tzadik, which Jews in Jesus’ day reserved to describe someone who was especially close to God. I hope to be a righteous man who does the right thing kindly and who remains always open to God, assuming whatever responsibilities He sends my way. What did Joseph’s righteousness look like? Notice four things. First, as a righteous man, Joseph did the right thing. Matthew says that Joseph and Mary were engaged and chaste (1:18). However, Mary became pregnant. Knowing that he wasn’t the father, Joseph resolved to divorce her. (For Jews of that period, an engagement was as binding a covenant as marriage, which was why divorce was Joseph’s only legal recourse.) He couldn’t condone her perceived adultery, and her son was some other man’s responsibility. Righteousness is more than doing the right thing, however. In Jesus’ day, the word “righteousness” — dikaiosoune in Greek, tzedekah in Hebrew — was the word used to describe charity. For example, when Jesus said, “Be careful not to practice your righteousness in front of others to be seen by them,” He was talking about giving to “the needy” (Matthew 6:1–2). If you go to Israel even to this day, a beggar requesting tzedekah is asking for charity. When we understand that righteousness is charity, we understand why Matthew says Joseph resolved to divorce Mary “quietly.” As a charitable man, he “did not want to expose her to public disgrace” (1:19). For him, righteousness meant doing the kind thing. Jesus revealed himself privately as the Messiah to the Samaritan woman at the well, who was cohabiting with a sixth man after five failed marriages (John 4:1–26). When Jesus’ religious opponents caught a woman in the act of adultery, He sent her accusers away before He told her privately to sin no more (John 7:53 through 8:11). At a dinner in Simon the Pharisee’s house, a sinful woman — perhaps a prostitute — anointed Jesus’ feet. When Simon mumbled about the impropriety of this, Jesus publicly praised the woman’s devotion, favorably contrasting it with Simon’s own inhospitality (Luke 7:36–50). Contrary to Joseph’s perception of the circumstances, however, Mary had not in fact been sexually immoral. The Gospels emphasize that she was a virgin when the Holy Spirit conceived Jesus in her womb (Matthew 1:18, 22–23; Luke 1:27; cf. Isaiah 7:14). Joseph didn’t know that; however, “an angel of the Lord appeared to him in a dream” and set him straight, saying, “what is conceived in her is from the Holy Spirit” (Matthew 1:20). Joseph’s openness to God in his dreams was the result, it seems to me, of his openness to God in the details of his life. Luke shows us what both Joseph and Mary’s mundane righteousness looked like. They circumcised Jesus on the eighth day and then performed “purification rites,” both required by “the Law of Moses” (Luke 2:21–22; cf. Leviticus 12:2–8). Similarly, they participated annually in the Passover Festival in Jerusalem (Luke 2:41; cf. Deuteronomy 16:1–8). They were people who, as Luke puts it, did “everything required by the Law of the Lord” (2:39). The last time we see Joseph alive in the Gospels, it was Passover, Jesus was 12 years old, and the family was at the Temple. The boy Jesus engaged in a discussion with religious teachers. Perhaps it was His bar mitzvah. “Everyone who heard him was amazed at his understanding and his answers” (Luke 2:47). Preachers often attribute Jesus’ wisdom at this young age to Jesus’ divinity, and that no doubt played a part. But I can’t help but wonder whether Joseph’s openness to God — and Mary’s too, of course — played the greater role at this stage. Luke says, “Jesus grew in wisdom and stature, and in favor with God and man” (2:52). Thankfully, God had provided Him a good dad (and mom) in the growing years. And this reminds us of one more thing about Joseph’s righteousness: it involved the assumption of responsibility. Joseph had nothing to do with Jesus’ conception, but he assumed responsibility for Jesus’ life nonetheless. He adopted Jesus into his family, and in doing so, conferred a heritage as heir of King David (Matthew 1:16–17). This aspect of Joseph’s fatherhood has struck me with particular force over the last four years, in the course of which my wife, Tiffany, and I first fostered and then adopted two little girls. (We have a biological son as well.) I am not my girls’ dad, in a biological sense, but I am my girls’ in every other sense. When they think of their dad, it’s my face they see. So, happy Father’s Day! And father well! To me has fallen the awesome responsibility — and privilege — of not only housing, feeding and educating these girls, but also loving, disciplining and preparing them for adulthood. Someday, I’ll walk them down the aisle at their weddings, and their children — though not related to me biologically at all — will be my grandchildren. They are, together with my wife and son, my forever family. I know what kind of thoughts Joseph must have asked himself when that angel of the Lord set him straight in a dream. I’ve asked them myself. But I hope that, like Joseph, I too will father all my children in such a way that they grow in wisdom and stature and in favor with God and man. In other words, I hope to be a righteous man who does the right thing kindly and who remains always open to God, assuming whatever responsibilities He sends my way. My children need me to be that man. And, men — whether you’re fathers or not — our nation needs you to be a righteous man as well. And so, my wife and I found ourselves providing full-time care to other people’s kids. (Did I mention that they were girls? In diapers?) We found ourselves downtown, in a government building, interacting regularly with people struggling with addiction, joblessness and homelessness. It was a far from the comfortable, middle-class, suburban life we had grown up with, and that we had, in turn, created for ourselves. It was hard. (I’ll get back to that in a moment.) But the key thing I learned in the process is that we’re supposed to use our privilege. In contemporary public discourse, the word privilege is a dirty word, something that’s supposed to be checked rather than used. I agree that privilege should be checked if it’s used for self-aggrandizing purposes. If you were born with a silver spoon in your mouth, don’t look down on others because they use plastic utensils when they eat. Know what I mean? who, being in very nature God, did not consider equality with God something to be used to his own advantage; rather, he made himself nothing by taking the very nature of a servant, being made in human likeness. And being found in appearance as a man, he humbled himself by becoming obedient to death — even death on a cross!” (Philippians 2:6–8). No matter how many times I read these verses, I can’t get over the staggering fact that Christ used His privilege for us. He put His equality with God in service of sinful humanity, for whom He died. What privilege do we have that we’re willing to use in service of others? In Ephesians 1.3–14, Paul praises God because he has “blessed us in Christ with every spiritual blessing in the heavenly places.” What are those spiritual blessings? Paul gives several examples. Second, adoption: “he predestined us for adoption through Jesus Christ” (verse 5). In the biblical portrait of human existence, we are spiritual orphans. As orphans, we have no spiritual safety net, and are thus find ourselves victim to the depredations of the world, the flesh, and the devil. Through Christ, God adopts us into his heavenly family, gives us a spiritual home, and provides us an inheritance of eternal life. What a joy to know that our loving heavenly Father refuses to leave us alone! Third, redemption and forgiveness: “In him we have redemption through his blood, the forgiveness of our trespasses, according to the riches of his grace” (verse 7). Redemption and forgiveness are economic metaphors of salvation. Redemption is the price paid in order to emancipate a slave. Forgiveness is what a creditor does for his debtor when he releases him from the obligation of repaying a loan. In the biblical portrait of human existence, we are slaves and debtors to sin. But God is the Great Liberator and Debt Cancelor! Fourth, enlightenment: “in all wisdom and insight [God is] making known to us the mystery of his will…to unite all things in [Christ], things in heaven and things on earth” (verses 9–10). Dante Alighieri begins his Divine Comedy with these words: “Midway upon the journey of our life / I found myself within a forest dark, / For the straightforward pathway had been lost.” Having reached middle age, I can testify to the fact that I have sometimes felt a bit lost about what my future holds. But even if I—or you—do not know all the details of what the future holds, we know its ultimate end: the union of “all things in him.” That is God’s “plan for the fullness of time” (verse 10). Fifth, inheritance: “In him we have obtained an inheritance” (verse 11). That inheritance is eternal life in God’s presence. In eternity, “[God] will wipe away every tear from their eyes, and death shall be no more, neither shall there be mourning nor crying nor pain anymore, for the former things have passed away” (Revelation 21.4). 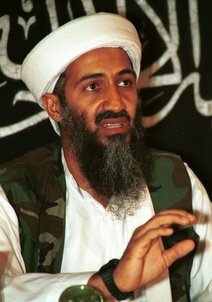 Obama bin Laden is dead. Here’s President Obama’s statement. He was, apparently, given an Islamic burial at sea. Pope John Paul II is one step closer to sainthood. San Francisco wants to outlaw male circumcision. I’m sure rabbis will soon declare SF non-kosher. Seven urban legends preachers should avoid using as sermon illustrations. Your soul lives online long after you’re dead. Check out David Hume’s non-religious defense of traditional marriage against polygamy and loose divorce laws. What a misleading article in The Nation can teach evangelicals about adoption. GetReligion.org asks, “Is it ever OK to lie?” The blog post analyzes the debate over Live Action’s use of undercover reporters to expose abuses at Planned Parenthood. There are good links to primary and secondary sources in the post. ChristianityToday.com reports on why Beijing’s largest house church refuses to stop meeting outdoors. Reading this reminds me that religious freedom is truly the first freedom. Marilynne Robinson, author of Gilead, has this to say about Calvinism and Christian liberalism: “Contrary to entrenched assumption, contrary to the conventional associations made with the words Calvinist and Puritan, and despite the fact that certain fairly austere communities can claim a heritage in Reformed culture and history, Calvinism is uniquely the fons et origo of Christian liberalism in the modern period, that is, in the period since the Reformation.” I don’t think she means by liberalism what most people mean, however.